The hotel’s 53 en-suite bedrooms each have colour satellite TV, radio, hairdryer, tea and coffee making facilities and direct dial telephone. Iron and ironing board also available on request. Wi-Fi is available in the Lounge/Bar area and is FREE to all residents. We also offer competitive rates for overseas tours and tailor-made packages are available upon request. Our strategic location makes us an ideal choice for all customers whether business or pleasure. Please see our current special offers. Rooms are available from 14:00 on the day of arrival with check out by 11:00 on the day of departure. These times are subject to change without prior notice. We will endeavour to accommodate early arrivals but cannot guarantee availability due to check out times of previous guests. 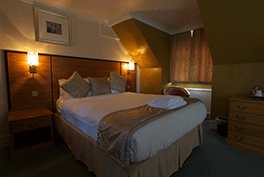 Full Terms & Conditions – Accommodation can be viewed here. 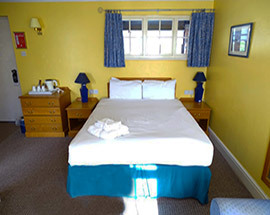 Our basic accommodation, rooms include tea/coffee making facilities, hair dryer and TV. Please note that some of these rooms are outside the main hotel. These rooms are slightly larger than our standard rooms. Please note some of these rooms are outside of the main hotel. 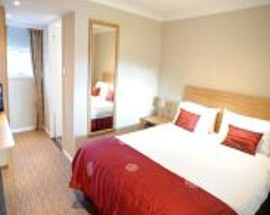 These are our newly refurbished rooms within the main hotel. Please note that you cannot book these on line and that they are subject to availability.